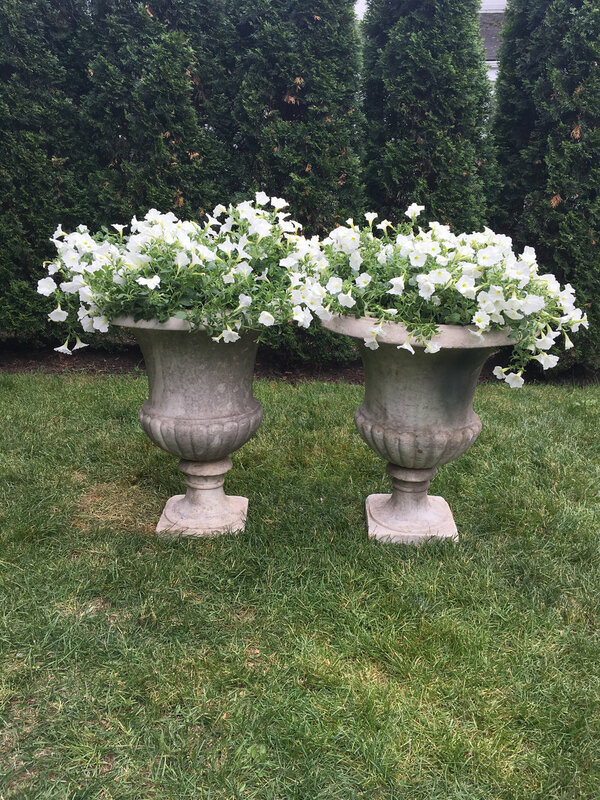 This pair of marble campana-form urns is just fabulous! 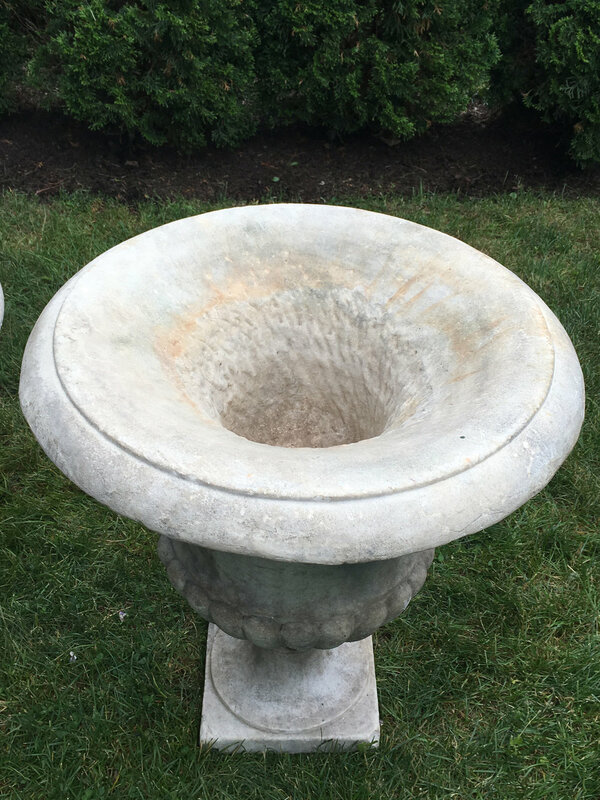 With classical quarter-lobed body and plain everted rims, they were originally intended to stand alone and, as such, have a modest planting well (8" hi x 7"diameter). Extremely durable and having withstood 165 years of Northeastern US winters, each weighs approximately 250 lbs. The bodies of the urns separate from their bases for easier transport and we have installed new, heavy-duty stainless steel pintels that allow you to rotate the body of the urn while the bases remain in place. With a stunning, lichened surface, these urns will give you decades of pleasure atop your gate piers, flanking a doorway, or marking the entrance to your garden. Minor old, elongated, and weathered chip to underside of one urn and old weathered wear to bases shown in photos.